I was so excited for ANIMAL WORLD upon seeing the trailer a few months back. It looked so weird. There were reports that it was based off of the anime/manga called KAIJI ULTIMATE SURVIVOR. I thought surely this was someone’s goof in wherever the original news article that came from. No way. Although I hadn’t seen KAIJI before, I have seen plenty of pictures and trailers of it before, and there’s NO clown in there. 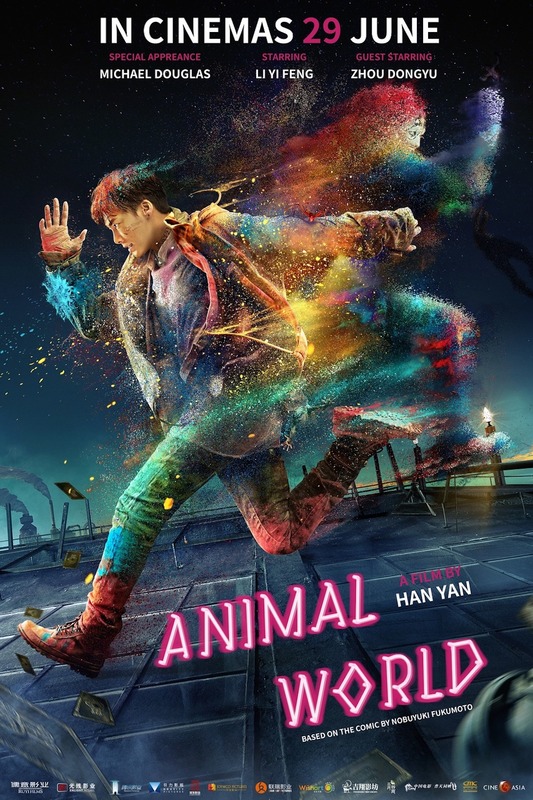 Although ANIMAL WORLD is Chinese, the movie itself is so very niche Japanese anime. The trailers made it look like Ronald Mcdeadpool, but instead I got Clown Fantasies in YU-GI-OH!. If that last sentence seemed bizarre, it was because what I saw was exactly that. Talk about a bait and switch, because the trailer makes the movie look nothing like what it actually was. This movie completely subverted my expectations. 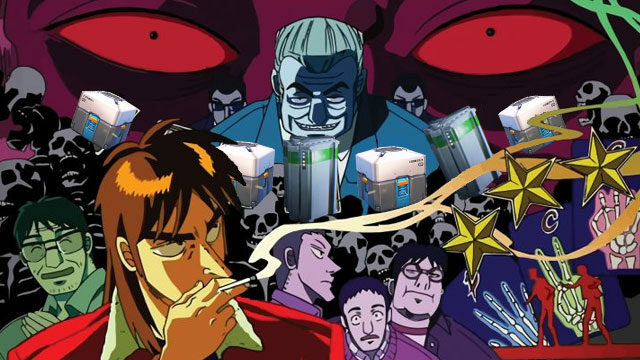 So KAIJI is about a man down on his luck who finds a new low when his longtime friend tangled with a loan shark and failed to pay off his debt, and that loan was forwarded onto our main character Kaiji. To make things even more interesting, he is forced to go onto as boat with many other men with similar debt situations. On the boat, they are to gamble on a beefed-up and more suspenseful version of rock-paper-scissors. The art is not my favorite. Kaiji himself looks like the lovechild born between Beavis and Butthead with a mullet. How ANIMAL WORLD is related to this: it is everything I just described, plus the main character (now who is now called Zheng Kaisi) demonstrates symptoms of being schizophrenic by having hallucinations that he is a Deadpool-like clown ninja that fights people who become monsters before his eyes. 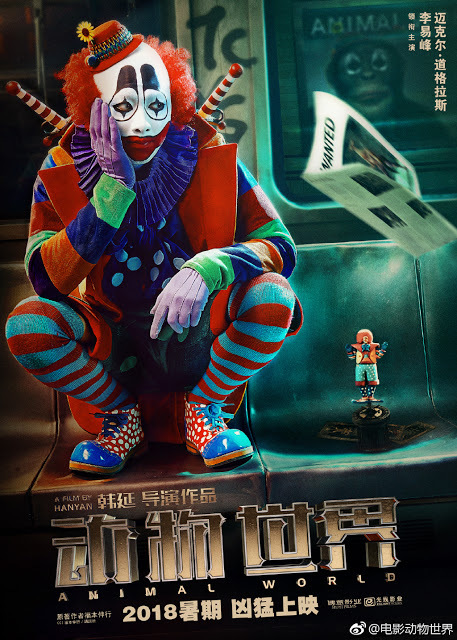 The movie at least tips its hat to KAIJI, by using a similar art style to the anime in an anime within the movie starring a clown ninja where Zheng got the imagery from. The movie is still more definitely about the card game and the strategy than the clown ninja aspect, although that is all they show in the trailers and posters. Following the strategy of getting through this high-stakes game of rock-paper-scissors is actually what has kept my interest throughout the movie, and the strange fate that could befall any one of those who were eliminated. There is some math involved, but you don’t have to be a genius to be able to follow along with what they’re trying to do in the moment. I really, really would like to know what in the world inspired the clown-ninja element. I watched through a few episodes of KAIJI and there were no clowns to be found. I didn't have much luck searching the internet either. 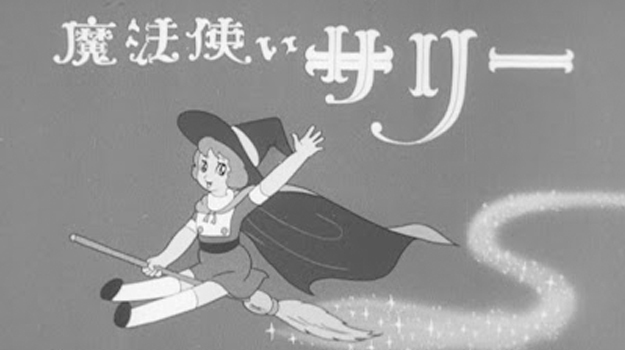 There were definitely some good special effects. They may have shown that off a little too much. Often times the special effects felt fairly gratuitous. There was no point to some of the CG objects they circled around or zoomed in on for other than just looking cool. 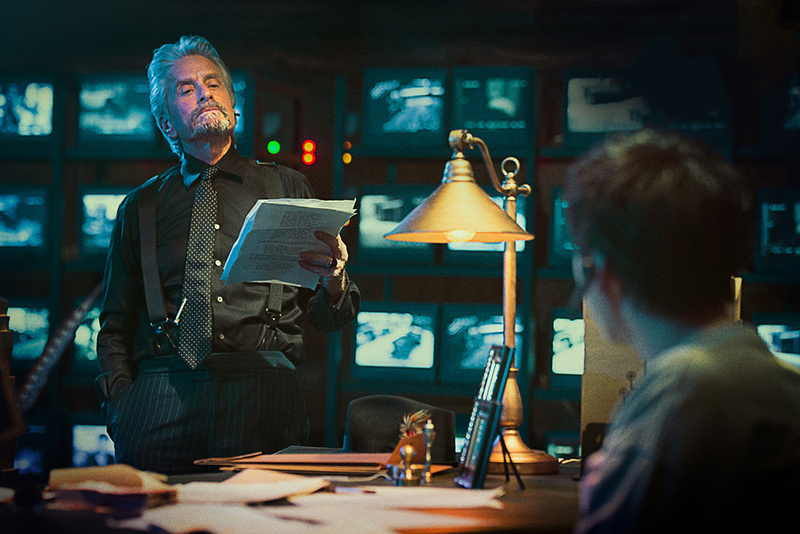 Oh, and Michael Douglas is in it. He’s the villain/loan shark that orchestrated this big boat gambling den. He did a fine job playing his part, but I find myself wondering why the heck he is even in this movie. From what I hear, China is taking babysteps to better their cinema. Perhaps this was a reason why a name like Michael Douglas was roped into working on this film. They definitely don't let you forget that the movie is called ANIMAL WORLD. They "say the thing" about four times. Things ended on a cliffhanger, and though it was a fairly bizarre ride, I somehow finding myself wanting to see more and where it goes. If you like Chinese film and want to see what the heck this is about: you can catch it on Netflix right now.